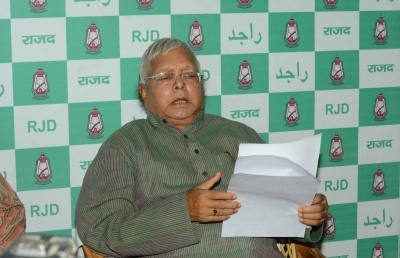 Patna, May 14 (IANS) RJD chief Lalu Prasad on Sunday dared Prime Minister Narendra Modi to dissolve the Lok Sabha and hold fresh general elections, as he claimed that the BJP-led central government had “failed on all fronts” in the last three years. “Modi should dissolve the Lok Sabha and get fresh polls conducted along with assembly polls coming up in some states because his government has failed to fulfil the promises made to the people ahead of the 2014 general elections,” he told media here. The former Union Minister also demanded that Modi explain to the people about his promise of providing jobs to two crore persons annually. “What happened to his promise of jobs to two crore people every year? 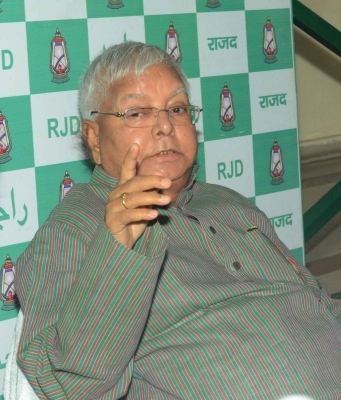 The Bharatiya Janata Party-led Union government should reveal how many persons were provided jobs since May 2014,” the former Bihar Chief Minister said. The Rashtriya Janata Dal chief said the Modi government should also come out with official data on how much black money stashed in foreign banks had been brought back to the country in three years. The BJP has been doing everything to finish regional parties to end true federalism in the country, the RJD leader said.